Think photo shoots are boring, time-consuming and you feel like you are having to do all of the work? Coordinating and picking out clothes, applying makeup, styling your hair – knowing that it’s going to be flat again by the time you reach the studio…it’s all just too much work! At Dawn M. Wayand Photography, we want your experience to be memorable, convenient and comfortable! 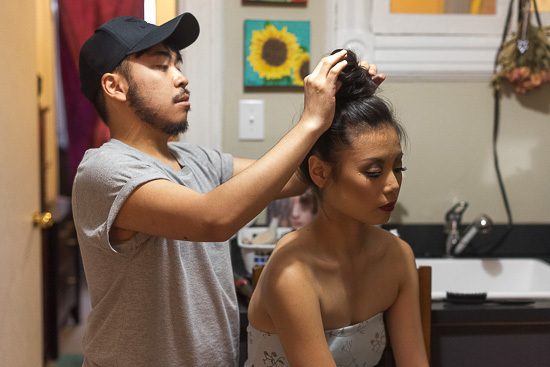 We provide complimentary hair & makeup service by our own very talented, Gil Aldrin, on every shoot – to take the pressure off of you which in turn will help us deliver the best possible results to you. 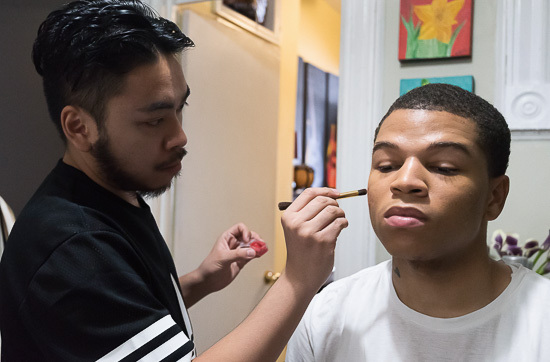 Gil handles hair and makeup for both men and women and stays throughout the entire session for touch-ups to ensure every image we create is consistently top notch. We work both in our fully-equipped home base studio on the first street in the Industrial SE Bronx as well as in the field. So leave your worries about hair and makeup at home. We’re here to pamper and take care of you and to make you look your very best you. Complimentary hair and makeup service, just another perk for choosing Dawn M. Wayand Photography for your photography needs!